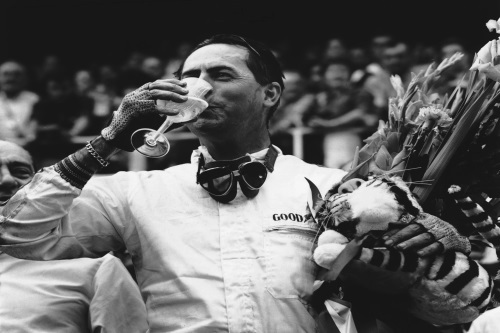 The event is shaping up to be a fitting celebration of the triple Formula 1 World Champion’s remarkable life and outstanding contribution to motorsport, held in support of Kidney Research UK, with valued backing from Honda, Arbuthnot Latham and G.H. Mumm Champagne. Renowned F1 designer Gordon Murray, whose pioneering Brabham cars won 22 Grands Prix and two Drivers’ titles with Nelson Piquet in 1981 and 1983, will be joining Sir Stirling Moss OBE, Sir Frank Williams CBE, Sir Jackie Stewart OBE, John Surtees OBE, Tony Brooks and Nick Goozée on stage to share their memories of the legendary driver and engineer. Paul Oz, official licensed artist to James Hunt, Bruce Lee, Star Trek, Denis the Menace, Ali, Mr Men and Little Miss, and Thunderbirds, who has also created commissioned work for the Instituto Ayrton Senna and Jenson Button among many others, has also pledged his support to the event. His stunning portrait of Sir Jack will be on display and Paul will be selling official prints of the masterpiece to help raise funds for Kidney Research UK. The Sir Jack Brabham Memorial has been made possible thanks to support from Honda, who powered Sir Jack to the European F2 Championship with 12 out of 15 race wins and sealing the F1 and F2 titles in the same iconic year of 1966; Brabham’s private bankers Arbuthnot Latham; and Formula One Management, through its partnership with G.H. Mumm Champagne.